When healthy dialog turns into personal insults, innuendo, gossip, and disruptive arguments, board meetings can get off message and contentious. Left unabated, the board fractures, no one is satisfied and the community suffers. 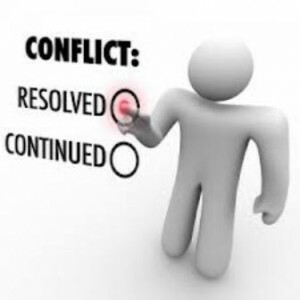 How can a board deal with a disagreeable board member? Each situation is unique, so specific approaches will differ. However, there are a few helpful tactics boards can use. Embrace discord - Don't dismiss discord, listen to alternate opinions. For example, when a candidate runs for the board on an overtly negative platform, communicate actively and try to get at the root of the homeowner's dissatisfaction. Address discord as soon as it arises, and never assume you know the motivations of another person. Ask questions, even when you don't think you'll like the answer. There may be opportunities to build bridges. Be positive - It's difficult to disagree with someone who is consistently positive. Give others the benefit of the doubt, and assume that all are working for the good of the community. At the same time, don't debate with those who engage in argument for sport. It's also difficult to disagree with principles after endorsing them. Focus on the principles on which all board members agree and work toward them. Separate the messenger from the message - Dissident opinions may have value or contain nuggets of truth. Even if a person communicates in the wrong way, it doesn't mean the message is wrong. Look at alternative policies or procedures and play out the "what-ifs." This allows the board to visualize what the future would be if the idea was adopted. Allow the process to point out whether that future would be better. Always strive to do the right thing - remembering that you serve for the benefit of all members. Be principle based, not ego-based, especially when others are not. When necessary, remind others that policies, decisions, and actions should be in harmony with the goals and vision of the community. Don't allow yourself to be drawn into personal arguments or put on the defensive. Applying these principles allows leaders to find the best in themselves and others. Boards that stay focused on the bigger picture, stand squarely on principle, and remain positive take the wind out of the sails of a rogue board member.